1.5% Cashback on all purchases throughout the year. 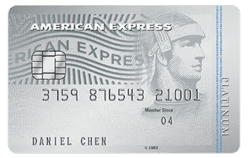 Exclusive dining privileges all around the world, all year round with American Express Selects. Enjoy complimentary Travel Inconvenience and Travel Accident Insurance of up to S$350,000. Apply now and enjoy 3% Cashback for the first 6 months, up to S$5,000 spend. Instead of the reward points system, practical credit card users are increasingly opting for cashback credit cards. Cash rebates provide a straightforward reward for your spending compared to rewards points because they don’t expire and you don’t have to redeem them for a limited selection of vouchers. 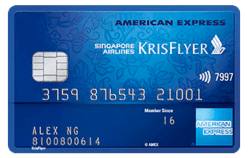 So why the AMEX True Cashback instead of others? In our research, we found many cashback cards in the market that requires a minimum spend or transactions in order to qualify for any rebates. This means that you need to constantly remind yourself and keep track of your transactions so that you do not miss out on the qualifying terms. While some of these cards may offer a higher rebate, it might be too much of a hassle and mental stress on a monthly basis. Another key advantage is that the Cashback is not limited to any categories of goods or services. There are some cards on the market which offer different rebate rates for various categories of goods. 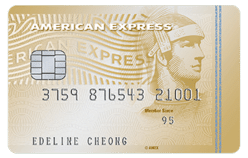 While it may work well for certain group of users, if you are an all-round spender with no special needs for rebates on petrol or grocery, the AMEX True Cashback card simplifies things by giving you 1.5% cashback anytime, anywhere. So no minimum spending, no strings attached – except in the case where you are late in paying off your bills. But that condition is pretty fair we think because the interest rates you are going to pay on late payment will probably eat into your cashback savings. One of the most attractive offers now is the 3% cashback for new application on the first 6 months. This amount is capped at $5,000 worth of spending, but its still a sizeable $150 money back. To maximize that cashback, the amount spent on your supplementary card can go towards earning you rebates as well. 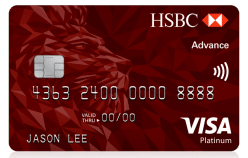 This works great if you ask us, especially since on top of your annual card fee waiver for the first year, fees for your first two supplementary cards will be permanently waived as well. You’re over 21 years of age. Supplementary Card applicant should be over 18 years of age. EnjoyCompare is an independent information provider. It is not a bank or financial services provider, and cannot give direct financial advice. The content of the comparison website provided by EnjoyCompare is provided “as is” for general information purposes only. It does not constitute advice nor does any part of the content constitute an open offer capable of forming the basis of a contract. It is up to the user to ensure information is accurate at the point of submitting an application on the supplier’s website.